If you are new to the great world of SEO then you probably already know just how complicated it can be. There are so many different factors that impact SEO and on top of all this, different experts have different opinions on the best way to tackle SEO. But the fact that you are here reading this blog is a good sign! You understand the importance of SEO for your website and even though you may not fully understand SEO you are willing to at least give it a try. Starting an SEO campaign (especially without assistance) can be a daunting task. But you have to start somewhere, so why not start now? The longer you put off your SEO campaign, the longer you are missing out on potentially higher visibility, traffic and conversions. There is one big issue that a lot of small business owners face. How do they start an SEO campaign without absolutely breaking the bank? Well, it is a lot easier than you may think! You don’t have to go spending thousands of dollars every month on SEO! While it is recommended that you take advantage of using a professional SEO business (if you have the money). There are now other options available to the SEO novice! It doesn’t take a long look on the internet to find a large variety of free SEO tools. In this blog post, I will share the top 4 free SEO tools that will help get you started! When using these tools I cannot guarantee astonishing SEO results, but by using these tools you will get a feel of how SEO works. And it won’t even cost you a cent! You should use each tool to its fullest as it provides you with some very valuable information about your website and SEO. As the name suggests Google Search Console is operated by Google. This is one of my favourite free SEO tools to use (you will need to set up a Gmail account, if you don’t already have one). This is because it gives an overall review on the health of your website. Not only this, but you are probably trying to ranking highly on Google right? Well, getting Google’s view on the health of your website gives you a better idea on why you are ranked the position you are currently in. Your overall health must be good in order to achieve a high ranking. Despite this, Google Search Console doesn’t give you the same amount of information as Moz or Ahref does and it doesn’t impact the ranking of your website directly, it just shows why you are ranked where you are. But it is important to give this tool a try because it provides analysis that not a lot of other tools do. For example, when using this tool you can find out more about the average CTR, total impression and the average position of your website (among other things!). One of the benefits of Google Search Console is that you have the ability to track the overall position and performance of your website over time. So you will be able to see exactly when your website was doing really well and when it was under preforming. In a perfect world you should see components like average CTR, total impressions and clicks increase over time and your average position in the search results ranking should decrease. One of my favourite things about Google Search Console is that it helps you put together a sitemap. A sitemap is very important for your website and this is one of the many things Google takes into consideration when ranking websites! Being new to SEO, what is one of the things that scare you the most? A lot of my clients find keyword research and generating a comprehensive list of keywords is the most daunting and confusing aspect of SEO! But don’t worry Keys4Up is one of the best tools to assist with keyword research. Most people don’t know a thing about the proper keywords for their business. This importantly includes keywords that solidly align with your business goals as well as the industry you are in. If you are struggling to wrap your head around keywords then you should give Keys4Up a go! Keys4Up is so great because; one, it is free, and two, it is simple to use, follow and understand. Unlike some other tools, it doesn’t take too long to understand and get the hang of how it works. Also, the results are clear and easy and there are many powerful features that you are sure to love. To use Keys4Up, think of one of your main keyword. 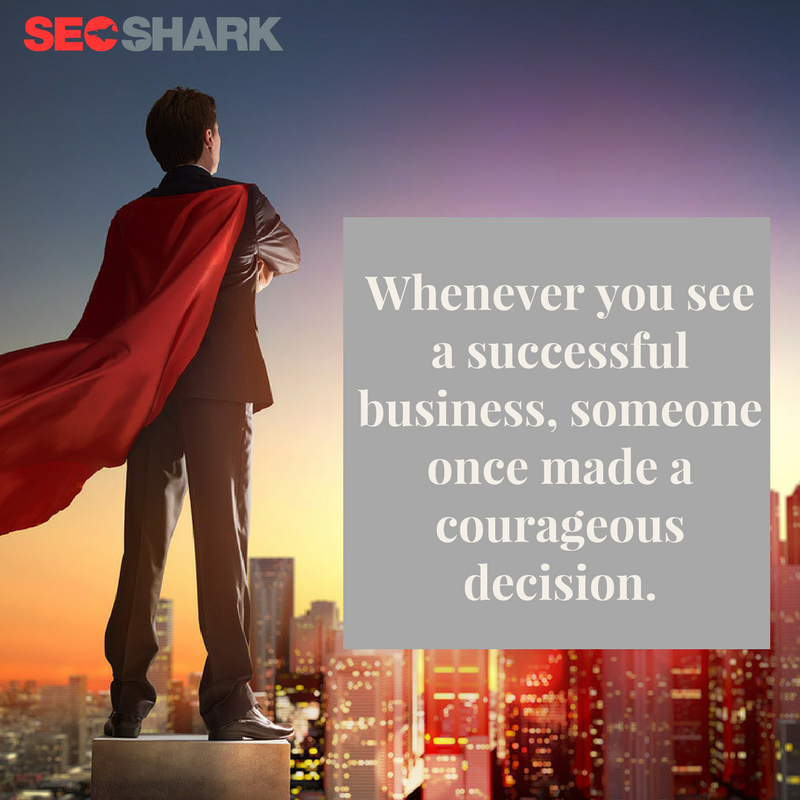 So for example, for SEO Shark, one of our main keywords includes “SEO company”. You then input the keyword into the search bar and wait for the list of results. 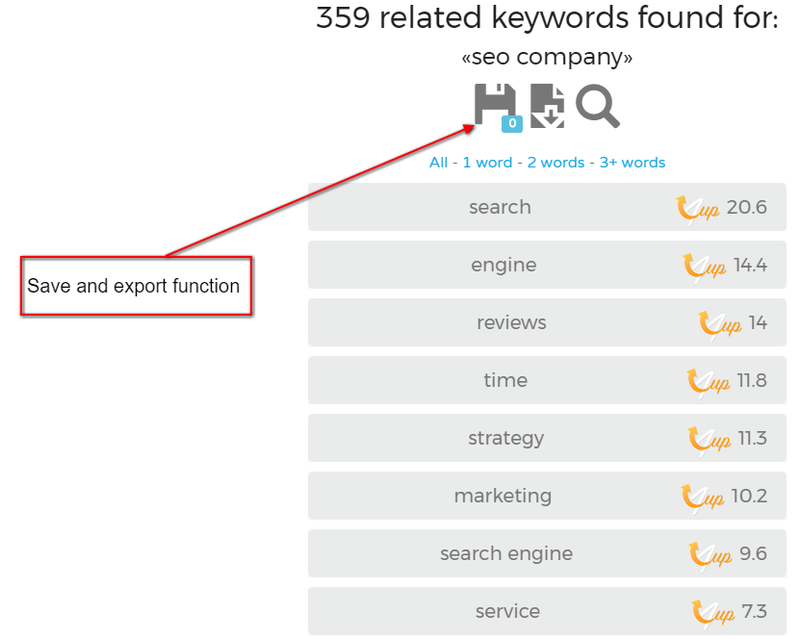 As you can see, there are 359 related keywords found for the term “SEO company”. As well as this you can refine your search to look at only 1, 2 or 3 words. It is a good idea to have a look at the top suggested keywords for each number of words as this will provide you with a greater level of variety when finally deciding on your keywords. Keys4Up is really as simple as that. You aren’t bombarded with other unimportant factors that don’t really impact your keyword research. You can clearly see the most relevant keywords, it doesn’t necessarily mean you like them and are going to use them, but it acts as a solid starting point for your keyword research. As well as this, can you see the little button in the picture under “SEO” (marked in red box)? This is a save and export button meaning that you can take these keywords and put them onto your computer, ready for the next time you want to conduct some keyword research! If you want a great ranking in Google’s search results, your website will have to be mobile friendly. Google recently announced that the amount of mobile search queries has now surpassed that of desktop search queries. This means that having a website optimised for mobile phones has never been more important. Believe me when I say, you will never reach your true SEO potential if your website is not optimised for mobiles. There are a few factors that you can look at changing when getting your website more mobile friendly. The good thing about the Google Mobile Friendly Test is that it puts all these different factors into one place, so you can easily see if your website is mobile friendly, and where you need to improve. Another key reason to ensure your website is fully optimised for mobile comes from a recent announcement by Google that explains the added impact of mobile friendly website on their algorithm. This means that websites that are 100% mobile friendly have a better chance of ranking higher than websites that aren’t. What’s more, many experts believe that Google will soon separate its desktop search index from its mobile search index. This will place even more significance on ensuring your website is mobile friendly. Now on to the tool itself! This tool allows you to check the important components of your website and see if they are truly mobile friendly. This tool is so great because it tests the mobile friendliness against Google’s guidelines. All you have to do is enter your website’s URL and the results will pop up. As you can see, our website is mobile friendly, so there is nothing to fix! One of the benefits of using this tool is that there are a couple of additional resources that are available for you to use. The site wide mobile usability report goes into greater detail about your website. As you can see, some of the issues that have been addressed here include; the website uses incompatible plugins, the viewport is not set and the text is too small to read. If you find that your results from Google’s Mobile Friendly Test are not positive, don’t fret! In the additional resources links you can learn how to fix the errors on your website, as well as seeing the issues for the entire website, i.e. not just on the mobile website. 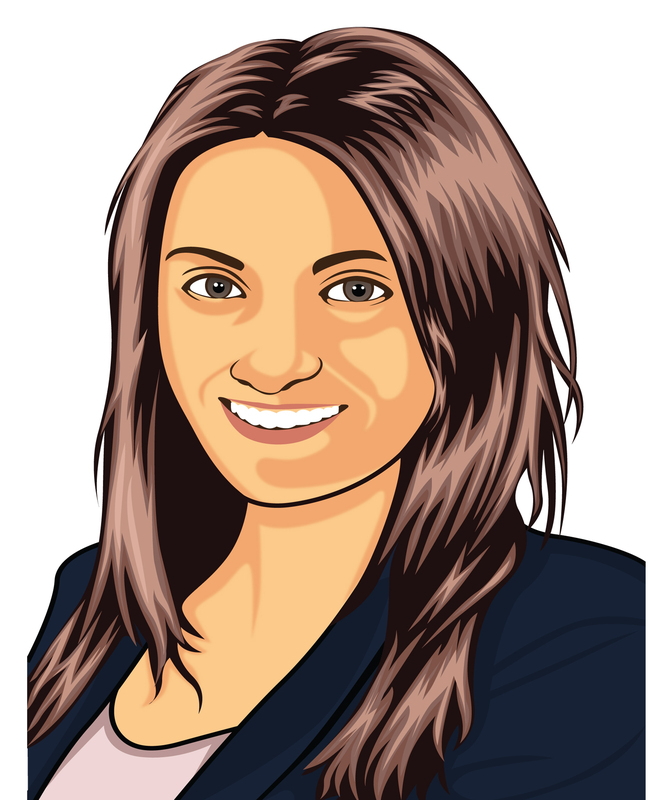 SEMrush is truly a fantastic tool and it provides you with so much detail you would think it costs money to use! But nope, this is another great free tool to use. This tool is great if you are looking to find out more important information about your website. Not only this, but if you are looking for information about your competitor’s website, SEMrush can hook you up as well. All you have to do to start this adventure is to input your URL and click “search”. After your URL is inputted you will be shown a variety of data that is very important towards building solid SEO strategies. As well as helping to build new SEO strategies, it will also help take your original SEO strategy to the next level. As you can see there is a lot of information to take in, so much so that it can become fairly overwhelming very quickly, especially because there is a lot more information when you scroll down further on the website. Therefore it is recommended that you only use this tool when you have tried some of the others first. With no knowledge of SEO at all, this tool could completely confused you! It’s pretty much like getting thrown into the deep end. Not knowing how to swim. And without any floaty device! Receiving this amount of data driven information in one go can be very intimidating. But if you have at least a little idea on how SEO works then this tool is completely amazing and provides so much detail that you will love. When using this tool, try not to do too many things at once. Take it one step (or graph!) at a time. You should never move to another section of the data unless you understand what you have already looked at. Important things you should take note of are your backlink data. Backlinks are very important in SEO. If you don’t have a clue about what a backlink is don’t worry! I have written a blog about backlinks here. A good idea is to compare your amount of backlinks with that of your competitors. So you should search your competitors URL in SEMrush to compare backlink results. If you have more backlinks then that of your competitor then great, you are sending signals to Google that your website has more authority then your competitor. As you can see, the backlinks for startbloggingonline.com is only 1.4K, whereas the number of backlinks for wordpreress.com is 33.5K! This sends the message to Google that the website has a higher level of authority then this website. Another key area to investigate is the top keywords for your website, as well as the position ranking for that keyword. 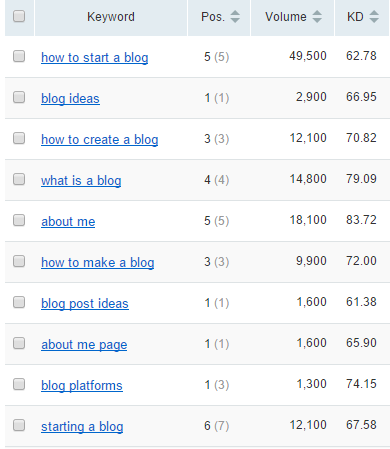 Here you can clearly see the top keywords for our website and the ranking we currently hold! What’s good about this is that there is live updating, so you will see any result changes as soon as they happen. SEMrush goes into so much more detail; all you have to do is click on each section to find out more. So if you want to know more about your own website or that of a competitors, SEMrush is certainly the best free tool available. When not knowing where to start, SEO can be a pretty scary place. SEO changes all the time and it can be difficult to get your footing in this world. If you are struggling to come to terms with what exactly makes up SEO, you mustn’t be disheartened. There are so many tools that can help you put together a great SEO strategy that won’t even break the bank. My four favourite tools that are listed above can truly provide a well-rounded view on SEO. You should start with these tools in the beginning then venture out to other areas when you feel as though you have a good grasp. Thanks for your reply. It is good to hear your feedback!